When I was a kid, the playground had these cool cage swings that you had to pump with your arms to get going. We used them to play Star Wars. 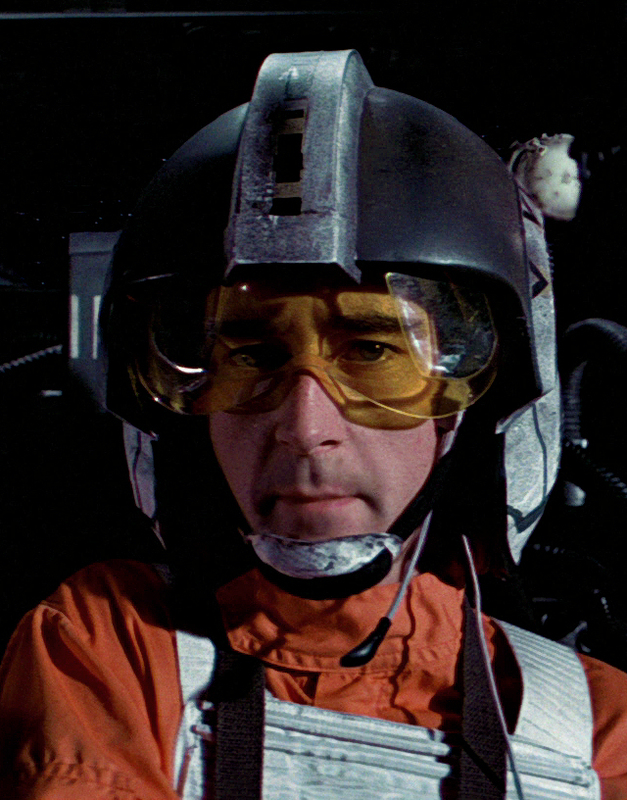 I learned quickly that arguments would always break out over who got to play Luke or Han, so I always volunteered to play Wedge. That way you didn’t get blown up. Nobody wanted to be Porkins. 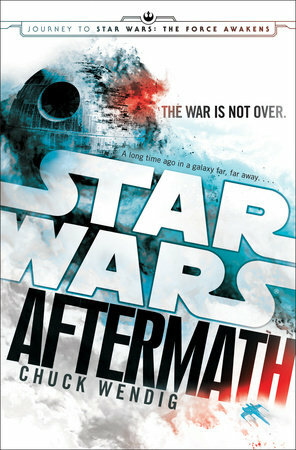 So I was especially excited when I started reading Aftermath, the new Star Wars novel from all around good-guy and championship penmonkey Chuck Wendig, and seeing my favorite X-Wing fighter returning for some new adventures. He’s no longer just a member of the good guys, but a hero in his own right. His starring role didn’t last too long, but it was still a hook that grabbed me early and didn’t let me go throughout this story of how the Rebels and the Empire picked up the pieces following the destruction of the second Death Star over Endor. Because once all the “Yub Nub”-ing is over, someone has to pick up the pieces. The novel primarily follows a handful of characters brought together on the distant planet Akiva. Wedge is captured there when he stumbles upon an Imperial meeting. Fellow Rebel pilot Norra Wexley is returning home to find the son she abandoned years before. An ex-Imperial loyalty officer named Sinjir is in hiding, drinking away the horrors he saw on Endor. And Jas, an alien bounty hunter is looking for a big score by assassinating Imperial leaders. The four, along with Norra’s son Temmin and his loyal (and surprisingly badass) battle droid “Mr. Bones” end up working together to free Wedge, bring down the clandestine Imperial meeting led by Admiral Rae Sloane, and escape Akiva. Wendig also presents a series of vignettes from across the galaxy as citizens attempt to cope with the fall of the Empire. We see revelers tearing down a statue of the Emperor, reminiscent of the destruction of the statue of Saddam Hussein in Baghdad’s Firdos Square. But the joy quickly turns tragic as they are mown down by laser fire. We see liberated slaves casting off their chains, news reporters interviewing ordinary citizens and reluctant press secretaries attempting to sell the new Galactic Senate to a skeptical public. Along the way he also lays the foundation for future conflicts, including a mysterious devotee to the Dark Side who doesn’t seem to possess any force powers, and a group collecting artifacts from the dead Sith Lords. What we don’t see, for the most part, are the heroes of the Original Trilogy. Leia appears in a news broadcast, and Han and Chewie get a vignette that appears to be leading to another novel, or possibly a movie? Luke does not appear. Or could he be that mysterious bearded Rebel saving orphans at a Stormtrooper academy? And that seems to be one of the many problems that the section of fans who have spent decades devouring the “Star Wars Expanded Universe,” have with Aftermath. Since Lucasfilm decided to remove the Expanded Universe from the “official continuity” fans have been up in arms, screaming for boycotts on social media. And leaving vicious reviews of Aftermath on Amazon. Meh. 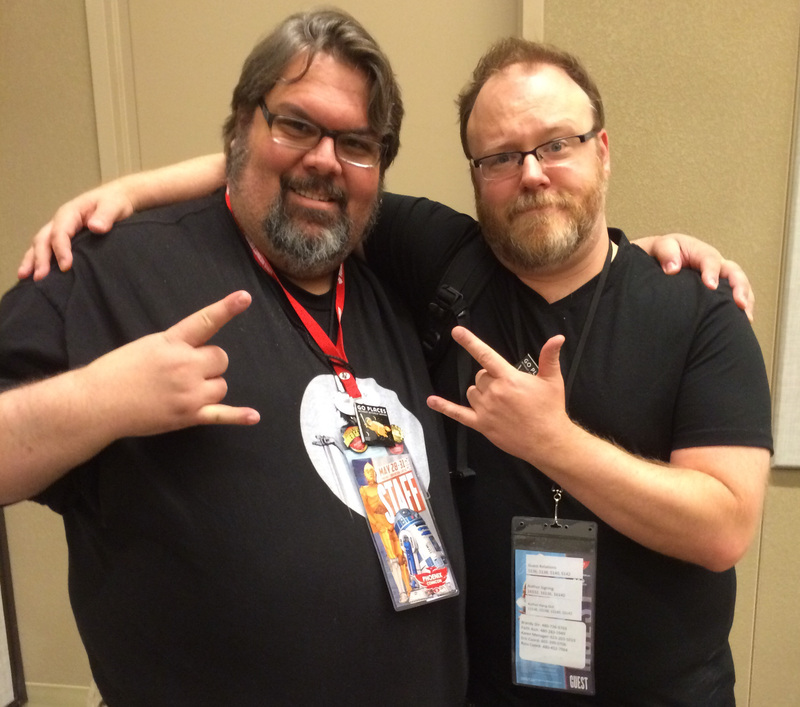 You’d think that Disney sent Wendig out himself to confiscate all their copies of the “Thrawn” trilogy. Most other complaints seem to amount to “Ew, gay!” because Norra’s sister is a married lesbian and Sinjir is homosexual, and “ZOMG! Present tense!” because “Long long ago in a galaxy far, far away” perhaps? What I do know is that the present tense makes the story pop (something Wendig explains on his blog), the characters are interesting and Wendig fills Aftermath with plenty of snarky humor. Like turning a pathetic battle droid from Episode One into a vicious killing machine (while still saying, “ROGER ROGER”). 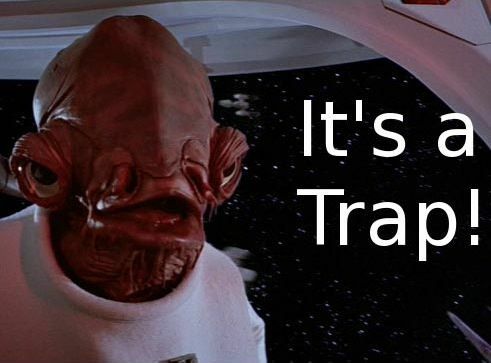 Or having Admiral Akbar fretting over the possibility of a trap (wouldn’t want to get burned twice). Or wondering whether TIE fighters have ejection seats. And even those who were registering their disgust on the Internet within minutes should be able to appreciate those jokes. 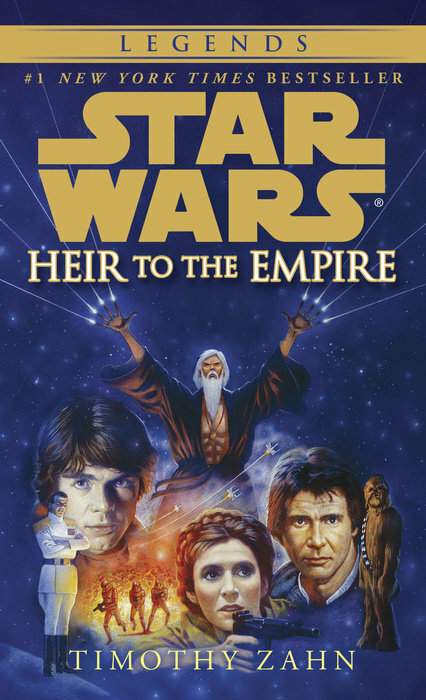 And hey, if they’d let go of their copy of Heir to the Empire long enough to pick up Aftermath, they might even notice that one beloved character from the movies may not be dead, and another EU character might be making an appearance soon. But best for me is that Wendig kindled some interest in print Star Wars 35 years after I read that hideous “sequel,” Splinter of the Mind’s Eye and 15 years after George Lucas nearly killed it with midichlorians and racist caricatures. And I’m not going to let some whiny manbabies ruin my enjoyment. This entry was posted in Reviews and tagged Admiral Rae Sloane, Aftermath, Akbar, Akiva, Chuck Wendig, Mandalorian Armor, Star Wars, Thrawn, Wedge Antilles. Bookmark the permalink.